John Frederick Christgau is an American author of fiction and non-fiction. He was born in Polk County, Minnesota, then moved to California, where he attended San Francisco State University. He taught at several high schools and coached Crestmoor High School's first varsity basketball team, in San Bruno, California. He lives in Belmont, California. 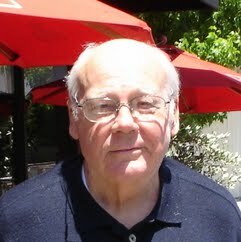 His books have dealt primarily with sports and American history. His book, Michael and the Whiz Kids, is the story of Christgau's experiences as coach of a championship, lightweight basketball team that featured the first African American athlete in Crestmoor High School's history. This book was followed by Incident at the Otterville Station: A Civil War Story of Slavery and Rescue, the true story of the rescue of slaves that were to be shipped from Missouri to Kentucky, in defiance of federal laws.